When it comes to premium high-end timepieces, American watch brands are normally not the first ones that come to mind. It’s very easy to overlook many prestigious American watchmakers when numerous Swiss watch brands gather all of the attention and publicity. This weekend as America celebrates its 240th Birthday, we at the Watchery.com are paying tribute to prominent American watch brands. Bulova, Ingersoll and Hamilton reflect a rich heritage of American time-keeping excellence and were all founded in New York and Pennsylvania respectively during the late 1880’s. Luminox, a relative horological newcomer was founded in 1989. Bulova the elder statesman of American watchmakers, holds the distinction of being the first mass producer of timepieces in the world. In 1912 the brand opened a factory in Switzerland. In addition, Bulova was highly involved in early NASA Space missions in the 1960’s and was also in the race to have the first watch worn on the moon for the Apollo 11 moon landing in 1969, but lost out to Omega. 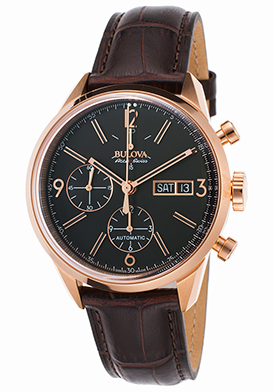 Bulova remains headquartered in New York, NY, the city it was founded in and produces premium Swiss-made watches with its high-end Accu-Swiss timepieces. The Bulova Accu-Swiss Murren Automatic chronograph is an exceptional choice. This premium-crafted Swiss-made men’s watch features the perfectly round case in brushed and polished rose gold-tone stainless steel, presented on a handsome alligator-textured brown leather strap with a convenient push-button deployment clasp. The handsome black dial features small-second, 30-minute and 12-hour sub-dials, day and date windows along with luminous hands and hour markers. Features include a scratch-resistant sapphire crystal above the dial and water-resistance to 30 meters or 100 feet. Bulova Accu-Swiss men’s watch is 41mm in diameter and 15mm thick. Ingersoll also founded in New York, NY introduced automated pocket watches in 1896 for the price of one dollar. Nicknamed the “Dollar” or “Yankee” timepiece, these pocket watches sold over one million units globally in its first years of production. In the 1930’s Ingersoll introduced watches featuring popular cartoon characters on the dial and obtained the licensing rights to Mickey Mouse watches in 1933, which led to widespread acclaim and sales. Ingersoll still produces Mickey Mouse and other Walt Disney themed watches today, as well as many innovative contemporary styles for both men and women. The Ingersoll Limited Edition Clearwater Automatic watch is an excellent selection. 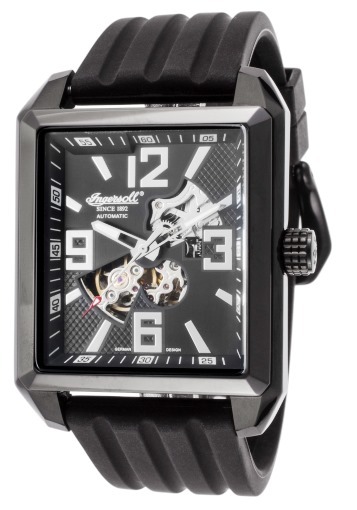 This contemporary men’s watch features the rectangular shaped case in brushed and polished black ion-plated stainless steel is presented on an attractive black silicone strap with distinctive fluted detail. The raised, stationary bezel frames the striking black dial with two open heart windows, luminous hands and hour markers. An exhibition skeleton case back lets you see the intricate automatic movement inside. Ingersoll automatic men’s watch is 41mm wide, 12mm thick and is water-resistant to 30 meters. Hamilton watches, founded in Lancaster, PA are renowned for their railroad watches, which were introduced in the early 1900’s. The brand was also one of the official suppliers of timepieces for the US Military during both World Wars I and II. In 1957, Hamilton introduced the world’s first electrical watch movement, the Hamilton Electric 500 which was featured in the brand’s Ventura collection. Today Hamilton watches are part of the Swatch Watch group and their watches are produced exclusively in Switzerland. 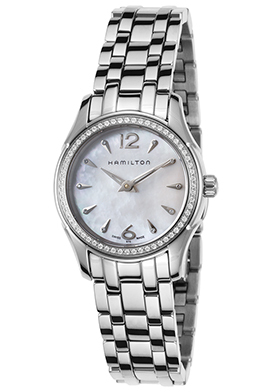 The Hamilton Jazzmaster women’s watch is a sparkling choice in stainless steel and diamonds. This classic contemporary Swiss-made women’s watch features the perfectly round case and matching multi-link bracelet in highly polished stainless steel. Shimmering round-cut diamonds pave-set to perfection cast a magical glow on the perfectly round bezel. The iridescent Mother-of-Pearl dial shines with polished silver-tone and ten inlaid diamond hour markers. Features include a scratch resistant sapphire crystal above the dial and premium Swiss quartz movement inside. Hamilton women’s watch is 28mm in diameter, 7mm thick and is water-resistant to 30 meters or 100 feet. Luminox, the official watchmaker of the US Navy Seals were commissioned by the prestigious special force unit in 1993 to produce illuminated watches for night missions. The luminous rod lighting for watch dials and bezels that the brand developed several years earlier were featured in these watches. In 1999 Luminox worked with Lockheed Martin to produce illuminated watches for the US Air Force Nighthawk missions. The brand soon marketed these illuminated timepieces to the public sector with widespread approval and popularity. The Luminox Navy Seal Chronograph is a line-by-line version of the classic model worn by US serviceman more than 20 years ago. The polycarbonate case and unidirectional rotating bezel are both incredibly durable and lightweight. Polycarbonate is the same material used in bullet-proof vests. The black rubber strap adds to the rugged design. The legible black dial features luminous outer markers, three sub-dials, luminous hands and an automatic date calendar. Features include small-second, 30-minute and 12-hour registers and water-resistance to 200 meters or 660 feet. Premium Swiss-made quartz movement inside provides time-keeping accuracy. 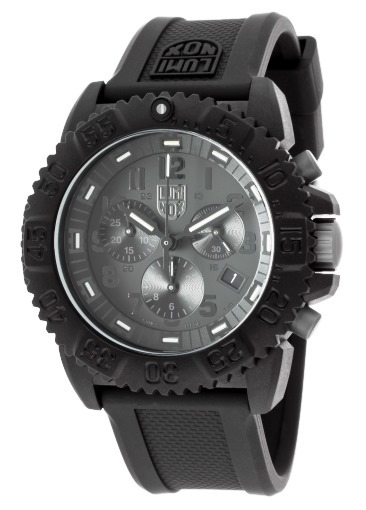 Luminox men’s watch is 44mm in diameter and 15mm thick. 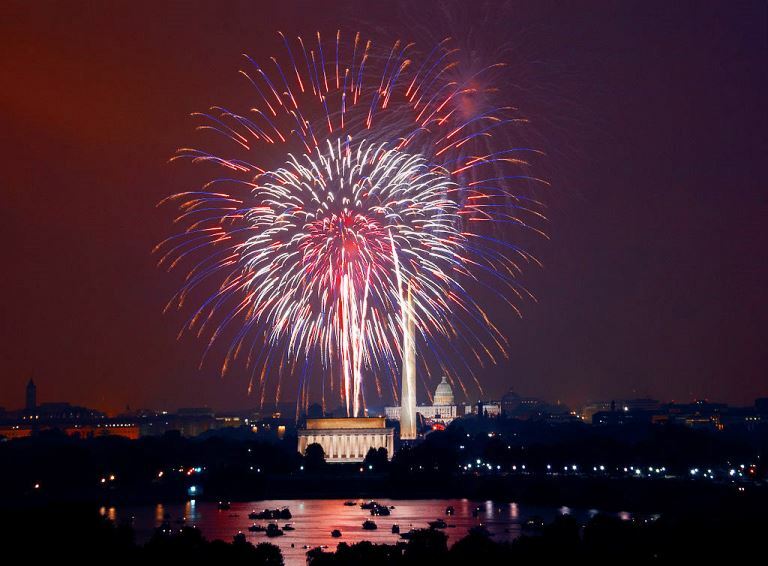 July 4th Fireworks Celebration image courtesy of Wiki Commons.